Tomorrow, Silent Stage Gallery will be releasing the second colorway of artist Matt Gondek’s awesome Deconstructed Home fine art sculpture! Inspired by the iconic FOX animated series The Simpsons, Deconstructed Homer is a spot on 3D rendering of Gondek’s signature deconstructed art style. 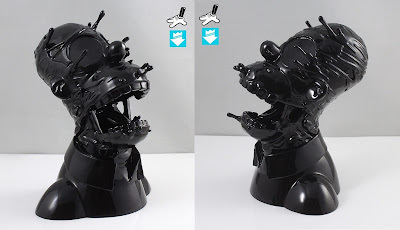 The Night Movies Edition Deconstructed Homer is painted in all black and is limited to just 100 pieces. 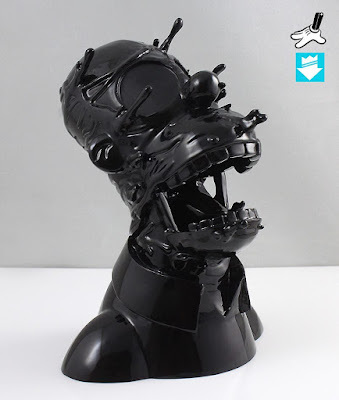 The Simpsons Night Moves Edition Deconstructed Homer Fine Art Sculpture by Matt Gondek is cast in solid high impact resin, measures 6”h x 5”w x 5”d, and weighs 1 lb. This fantastic piece will go on sale at 11am PST on Tuesday, August 1st, at the Silent Stage Gallery online store for $169.99.